An Anglican Evangelical Journal for theology and mission. From 2016 this journal is hosted and managed by the Church Mission Society. 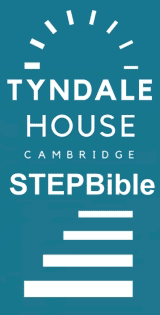 BiblicalStudies.org.uk hosts the official archive of the print volumes 1 - 29 (1984-2011). You can download all the available articles by right-clicking here and selecting "save as" to download a zip file. Please note that the file is around 85 MB. 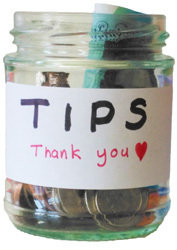 If you chose this option to download, please consider making a donation using the "Tip Jar" on the right. My thanks to the staff of All Nations College library for their assistance. Irene Marfoh John, "Continuity and Conflict: Evangelical Christianity and Traditional Religion in Sierra Leone," Anvil 20.1 (2002): 35-46. Christina Baxter, "Our Mission in Britain II," Anvil 20.3 (2003): 191-196. Colin Patterson, "Dealing with conflict in the New Testament," Anvil 20.3 (2003): 207-220. A revised version of this article is on-line here. Nick Jones, "Muslim-Christian Tensions: Perspectives from Northern Nigeria," Anvil 20.4 (2002): 289-301. Andrew Goddard, "Editorial Matters: Loving our Enemies," Anvil 21:1 (2004): 1-7. Emma Percy, "Woman Priests - Towards a More Fully Human Church," Anvil 21.2 (2003): 95-103. Ivy George, "For and Beyond the Ordination of Women," Anvil 21.2 (2003): 127-130. I. Howard Marshall, "The Religious Enemy: The response of the Church to religious pressure in Acts," Anvil 21.3 (2003): 179-187. Reprinted as "The Religious Enemy: The Early Church in Acts," C.A. Smith (ed. ), At the Cross, At the Crossroads: Loving our Enemies in the 21st Century. Manila: OMF Literature Inc., 2008. pp.43-56. Ron Clements, "Loving One's Neighbour and Justice, "Anvil 22.2 (2005): 105-107. Nicholas Shepherd, "Soul in the City - Mission as Package Holiday: The potential implications of a 'tourist' paradigm in youth mission," Anvil 22.4 (2005): 255-268. John Azumah, "Theological Foundations of Shari'a in Islam: Evangelical Christian Concerns and Reservations," Anvil 23.2 (2005): 101-111. Ashley Null, "Thomas Cranmer's Theology of the Heart," Anvil 23.3 (2005): 207-217. Anne Harrison, "‘There Must Be More than This’: Current Dilemmas Concerning Congregational Song," Anvil 23.4 (2006): 275-286. Michael McCoy, "Eish! A Letter from South Africa to Chris Wright," Anvil 24.4 (2007): 259-266. Paula Hollingsworth & Cyprian Yobera, "From Everywhere to Everywhere, From Nairobi to Manchester," Anvil 25.2 (2008): 95-101. Thabo Makgoba, Graham Dow [1911-1995], Martin Wallace, Colin Fletcher & Brian D. McLaren, "Reflections on Lambeth 2008," Anvil 25.4 (2008): 250-267. Tony Clark, "Michael Polanyi and the Knowledge of Faith," Anvil 25.4 (2008): 269-281. Andrew Atherstone, Pete Broadbent & Robert Warner, "Reinventing English Evangelicalism: Reviews & Response," Anvil 26.3 & 4 (2009): 201-218.